Added on June 4, 2018 by Naomi Friend. 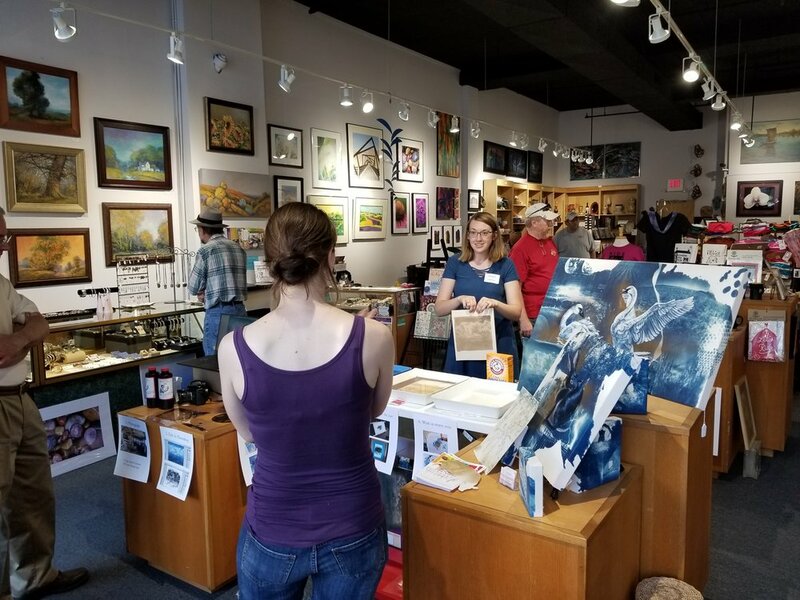 On the first Friday of June every year, Main Street Ames hosts Art Walk. 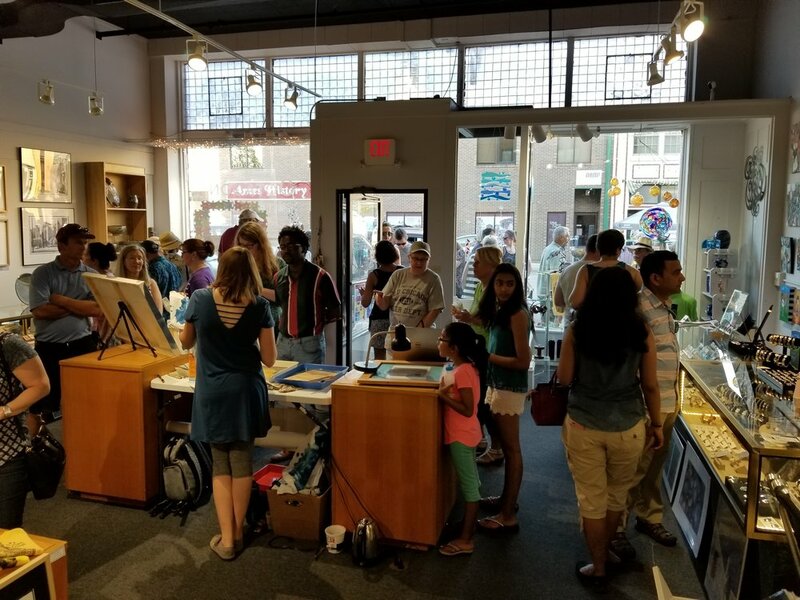 Area artists set up shop in downtown businesses and demonstrate and explain their artwork. 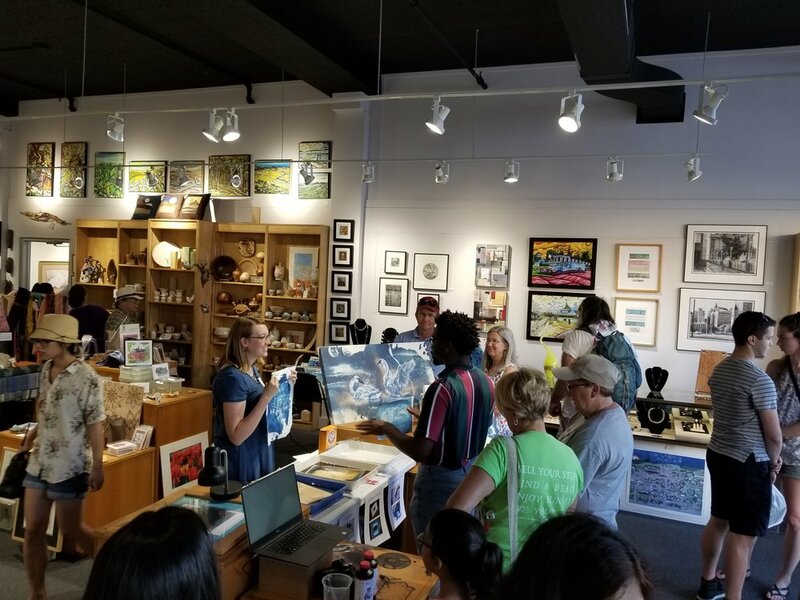 Naomi had a great turnout at the Octagon Gallery Shop. 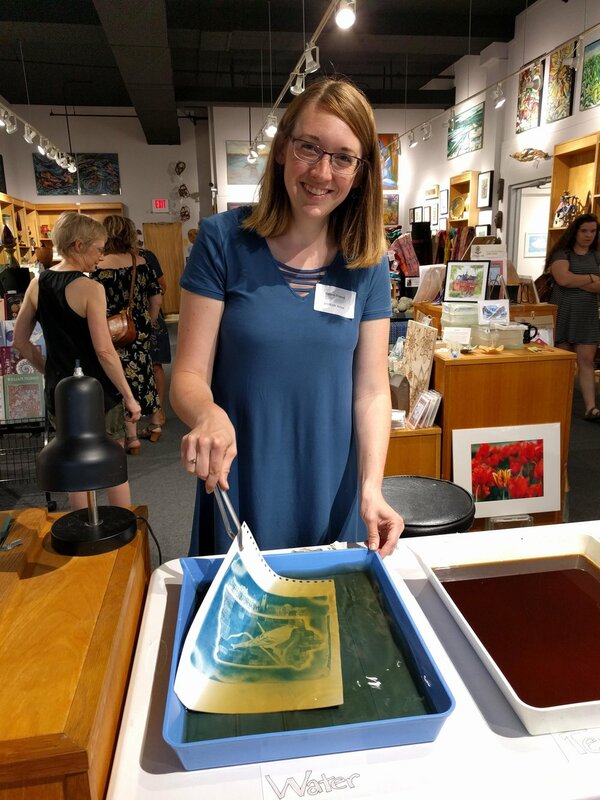 She exposed and developed cyanotypes, explaining the art process from start to finished work.